Manchester University today announces that Jennifer Henriksen, Pharm.D., is director of a new program that prepares graduates without science degrees to change course and enter a career in high-demand health professions. The 12-month Post-Baccalaureate Pre-Health Professions Program gives students a jump-start to succeed in pharmacy, medical, dental, and other health care careers. The plan is to have no more than 20 students so that each will get individual attention and plenty of mentoring, Henriksen said. “It will be an intense program,” she said. “We want to set them up for success.” Expectations are high in medical school, pharmacy school, dental school and other health professions, and the program is set up to make sure they are aren’t just well-prepared for entrance exams but for the rigors that follow acceptance. “A lot of students who come to this kind of program are very motivated to make the change,” the Fort Wayne resident said. She said similar curriculums have taken off on the East and West coasts, and the trend is now taking hold in the Midwest. Henriksen joined the College of Pharmacy in 2013 and is responsible for developing and coordinating pharmacy lab programs as well as teaching pharmacy practice courses. She earned her Doctor of Pharmacy from Purdue University and completed her pharmacy practice residency with an emphasis in academia at St. Elizabeth’s Medical Center/Northeastern University in Boston. 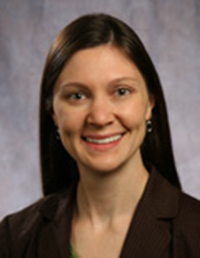 She has served on the faculty of Creighton University School of Pharmacy and Health Professions in Omaha and of Appalachian College of Pharmacy in Oakwood, Va.
She said Manchester’s non-degree program is unique in Indiana because it lasts only one year and is priced at $20,000, much less than similar master’s degree and other programs that typically take two years to complete. Federal loans are available and admissions staff will assist students in the process. Over the past five years 89 percent of Manchester biology-chemistry (pre-medical) graduates who applied to medical school were accepted. The national average is about 40 percent. The College of Pharmacy had nearly 600 applicants for its new class of 73 students this fall, with a wait list of 100 qualified students. Enrollment for the Post-Baccalaureate Pre-Health Professions Program is under way and classes begin in mid-May 2015. Learn more about the program at postbacc.manchester.edu or contact the Post-Baccalaureate Pre-Health Office of Admissions, 260-470-2700. Learn more about Manchester University at www.manchester.edu.